Captain Trips would have turned 73 today. 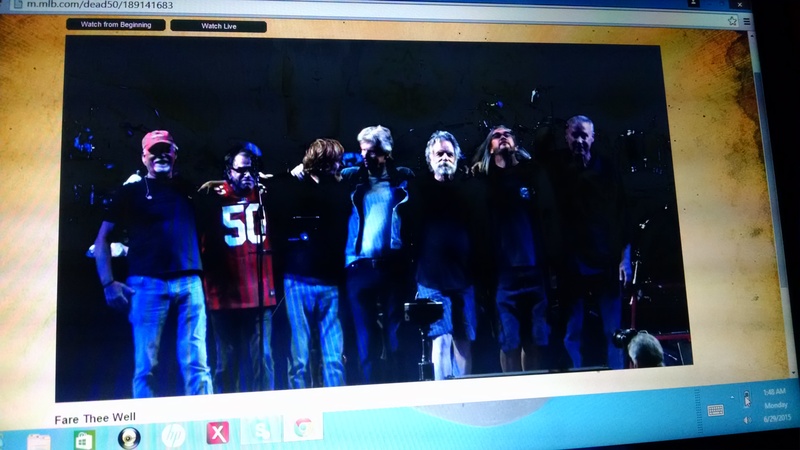 This entry was posted in Music, Video and tagged Brokedown Palace, Grateful Dead, Jerry Garcia on August 1, 2015 by mikekovak. 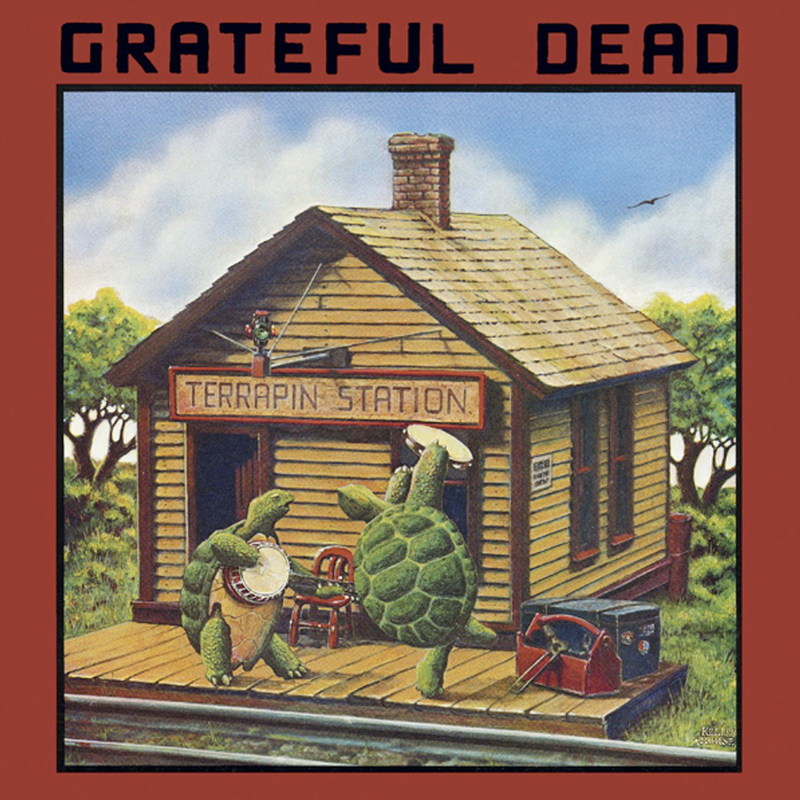 And with that introduction begins the Grateful Dead classic, “Ripple” – a triumphant ode to Americana and one of the many highlights on the group’s best studio album (American Beauty). It’s filled with magic, bliss, power and myth. Its lyrics are a celebration, and the song helped make the Grateful Dead a religion to its fervent following, many of whom remain basking in the glory of the often-powerful Fare Thee Well shows. 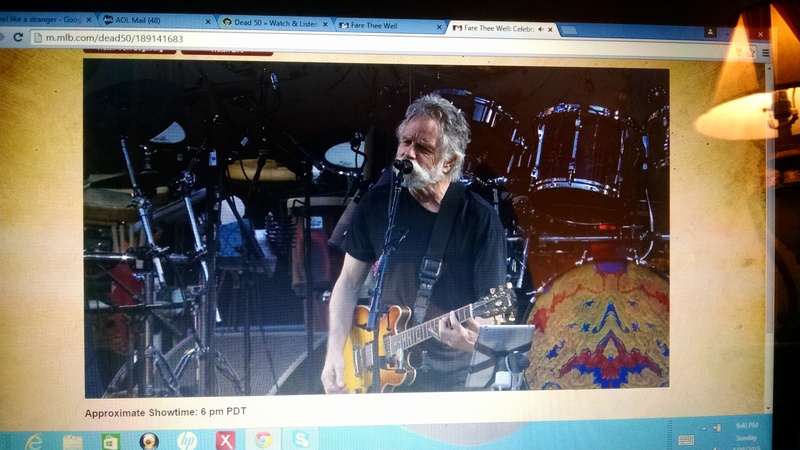 Thanks to Facebook (yep, true story), the coolest piece of music I’ve witnessed since the Fare Thee Well shows – I took part in the couch tour – popped up in my time feed. It’s a tribute to Jerry Garcia and part of the charitable group Playing for Change’s Songs Around the World. Artists including David Crosby, Jimmy Buffett and David Hildago lent their talents to a stirring version of “Ripple.” It was released July 5 – the same day the Dead played their final show in Chicago – and honors the band for 50 years of changing the world through music and more. It’s pure magic. This entry was posted in Music, Video and tagged American Beauty, David Crosby, David Hildago, Facebook, Grateful Dead, Jimmy Buffett, Playing For Change, Ripple, Songs Around The World, YouTube on July 30, 2015 by mikekovak. It’s Thursday. It’s hot. It’s understandable if a boost is needed to get through the rest of the week. Thankfully, the eternally optimistic lyrics of KISS frontman Paul Stanley can pull us through. Stanley’s ability to inspire didn’t end when KISS took off the makeup in the early 1980s. If anything, Stanley dug deeper into his reservoir of rock and roll righteousness, penning classics like “Lick It Up,” a beloved tour de force of live shows these days. KISS also dusted off another 80s classic, “Crazy Nights” on a recent tour. That’s where we look to for Paul Stanley’s Inspirational Quote of the Week. This entry was posted in Music, Paul Stanley, Video and tagged Crazy Nights, KISS, KISS lyrics, Paul Stanley, YouTube on June 11, 2015 by mikekovak. Each night is the only night that counts to the people at that show. They weren’t at the show the night before, and they won’t be at the one tomorrow. I won’t let them down. Paul Stanley’s “Face The Music: A Life Exposed” covers everything from the origins of KISS tro many of the band’s misfires in the 1980s to the powerful lineup in place today. That passage is from the 65th chapter of Paul Stanley’s autobiography, “Face the Music: A Life Exposed,” which was released April 8, 2014, and it’s as fitting a description for the frontman and driving force of hall of fame act KISS as any before or since. Stanley, who formed the band in the early 1970s with original members Gene Simmons, Ace Frehley and Peter Criss, never takes a night off on stage. Part inspiration, part perspiration and total determination, Stanley – at age 63 – still completes aerial stunts onstage in massive, platform shoes. In his book, Stanley credits the massive KISS Army for his ability to perform such acrobatics at an advanced age. If you’ve seen KISS in concert, you know what I’m talking about. Stanley reveres his position in the band and in rock history. Confident, sexified and strut-tastic, Stanley sets the bar high for rock frontmen. He’s as good as it gets, and he basks in it. Stanley, the last original member of KISS to pen an autobiography, takes the same approach to his book, and with a thoughtful retrospection one might expect from someone who’s had significant ups and a few downs during an epic four decades with KISS. Stanley delves into his upbringing – from his detached, unemotional parents to his difficult older sister to the pain he felt growing up deaf in one ear, which was also deformed. A prevailing theme in the book is Stanley’s struggles with self-confidence stemming from his deformed ear. He sought fame, fortune and women in an attempt to mask the pain. None of it ended up working, though he achieved all his goals in ample proportions. Stanley eventually found peace, and fathered four children. He cooks, he cares and he’s optimistic. 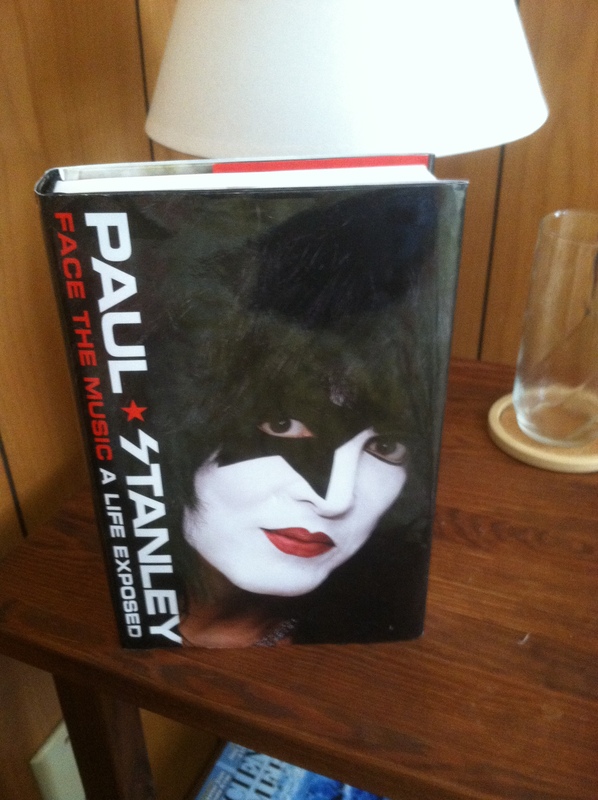 Unlike books by Frehley and Criss, Stanley holds no grudges and it comes across as painfully truthful. Stanley doesn’t hide his disappointment in Frehley’s and Criss’ poor play as the reasons why KISS’ reunion in the 1990s fell apart. He openly makes fun of some of the music he made in the 1980s. He even holds no punches with Simmons, whom Stanley said takes far too much credit in the band’s success. But Stanley never comes across as bitter. It’s just not in his nature. Stanley’s tale is beyond extraordinary, yet it comes across as relatable. It’s well-written, thoughtful and, just like Stanley on stage, it doesn’t let the reader down. This entry was posted in Books, Music, Paul Stanley, Reviews and tagged Autobiography, book, Book review, KISS, Paul Stanley, Rock and Roll Hall of Fame on May 21, 2015 by mikekovak. Paul Stanley’s inspirational quote of the week. Every week, we’ll draw inspiration from Stanley’s often over-the-top lyrics. Apply them in life, and happiness is guaranteed. “I know life sometimes can get tough! This entry was posted in Life, Music, Paul Stanley, Video and tagged Ace Frehley, Inspirational quotes, KISS, KISS lyrics, Music, Paul Stanley, Rock and Roll Hall of Fame, Video, YouTube on May 13, 2015 by mikekovak.